We provide a rewarding shopping experience for our customers in our beautiful 10,000 square foot showroom in Coral Springs, Florida, and now we are offering that same great service and experience on the web! Whether you are living in Fort Lauderdale, Parkland, Boca Raton, Delray Beach or anywhere in South Florida, you can shop for Coral Springs lighting from the comfort of your home. Beautiful Things has built a stellar reputation assisting homeowners, builders, and interior designers in selecting the perfect lighting and decor for their homes and projects. We have over 3,000 lights on display in our showroom, from Fort Lauderdale lighting and recessed specifications, to under-counter lighting, in addition to a great selection of lamps, mirrors, furniture, and accessories. Our website will soon display over 500,000 fabulous products. We also offer home automation, lighting controls, and music systems. We have the same guaranteed internet pricing everyday, and we will beat the price of our competitors by 110% of the difference. We have the most prominent pro trade program in the industry, rewarding members with unbeatable insider pricing, customizable project management, and lead generating tools. We are proud of our almost 2-decade reputation as trustworthy and ethical business partners with both customers and suppliers. We invite you to visit our showroom and discover what Beautiful Things can do for you. The LUXE cable + light showroom is one of the southeast's leading lighting showrooms, supplying residential and commercial markets with creative lighting solutions. Whether you require cutting-edge contemporary lighting design from some of the world's top designers and manufacturers, or a more traditional aesthetic to compliment architectural features in traditional homes or corporate HQs, LUXE provides a full service: inspiring lighting advice, technical solutions and guaranteed reliability of the product. Backed up by over 30 years' experience in the lighting industry, our regular client base includes architects, consulting engineers and interior designers as well as residential customers. Our staff is highly knowledgeable in the art and science of lighting. Founded in 1975, Oggetti has been at the forefront of contemporary design for the past half century. The line consists of furniture, lighting, and accessories developed with artisans from around the world. Over the last few years, Oggetti’s growth has been fueled by its furniture line, with unique designs from the Philippines and a now a stone and marble collection from Italy. Working with small ateliers, Oggetti is able to showcase its own unique style alongside other highly respected lines including Alexandra Von Furstenberg, Bontempi, and DellaRobbia. Lee County Premier Lighting & Home Decor - Come Visit our Showroom! While other homes are disappearing into the night, your home will come to life as a showpiece of design and inspiration. At Apollo Lighting Studio, we understand your home is more than just a residence to you. It should be a visual masterpiece that friends, neighbors, even passerby’s can’t help but stop and admire. All of our custom landscape lighting designed solutions are the result of a personal collaboration with each individual client. Our mission is to exceed our clients ideas and consider everyone’s specific style and taste on every project for any outdoor space. With this in mind, that is why our team of professional lighting designers and installers is always here to ensure your outdoor landscape lighting designs are the most amazing possible. We proudly serve residents and businesses in the Davie, Cooper City, Lighthouse Point and Ft Lauderdale areas of South Florida. Signature Glass Lighting. Some say the invention of glass is recorded on the cuneiform tablets of King Ashurbanipal of Assyria. Others recount a tale of a merchant ship, laden with nitrium, encamped on a beach. The ship’s sailors, searching for stones to prop up their pots while cooking dinner, sought recourse in the ship’s excess cargo. Their improvised nitrium coals quickly melted to fuse with the sands of the shore, expelling streams of a translucent, shimmering liquid, which we know today as glass. Ohr Lighting is proud to return the art of glass making to its geographical roots. Scouring the Middle East and Mediterranean, we have uncovered the work of a small group of pioneering glass artisans manipulating this hallowed craft to create exciting new masterpieces. From their cloistered ateliers in remote locales, we bring you the exquisite creations produced by these latter-day Phoenicians, descendants of the foremost expert glass blowers in the ancient world. Ohr Lighting’s glass fixtures are exotic, sophisticated, elegant, innovative, delicate – an exclusive exploration of light, shadow and transparency. Lighting Design, Sales & Consulting Give ideas on what can be possible on every budget. Consult with customers on design, layout and specify products, not only what looks best but what works best.. ---Is there enough light? ---Maybe too much light? ---How to transition into LED, yes LED! I can answer all of your questions! LightUpMyHome is a lighting manufacturer and an online retail company that delivers products directly to consumers throughout the United States and also to various countries worldwide. Deconceptshop brings the world's first shopping mall's culture and traditional arts and crafts from the Grand Bazaar in Istanbul to your home. We are based in Istanbul,Turkey with representation in the USA. Our impressive selection includes pieces ranging from patchwork rugs, kilims and home textiles, like Suzani and Ikat, to Oriental lamps and chandeliers. A wide selection of Turkish bath towels and many other unique pieces like cooper and Turkish Cermaics at great quality and prices that can’t be matched. Our products are carefully selected to match the quality and authenticity to which we are committed. At Deconceptshop, we value the unique find and, as such, some of our products are made solely for the website. Each product forming part of our collection, has been created at the place of origin, designed and produced upon our request, to meet the fine taste of our clients. We only offer products currently in stock and we strive to add new collections every 30 days. Each product is accompanied by a warranty and certificate indicating a description according to its nature. Specific requests in colors or size, could be produced within 15 days to meet the requirements of our customers. Our mission is to mantain a fair price, the highest possible quality and permanent satisfaction of our long time clients. We invite you to explore our sophisticated collection. We have dedicated over 35 years to the art of lighting homes & commercial spaces, and we're proud of our reputation for assisting clients in realizing their design concept. Our mission is to help you pick the perfect lighting system or fixture with sensitivity to your budget considerations and time constraints. Whether contemporary or classic, elegant or unique, we meet all demands! Iris Design Studio is a professional Architectural Lighting Designer. We focus on the design of interior and exterior lighting systems, including natural light, electric light, or both, to serve human needs. Working directly with architects and interior designers, we prepare full CAD lighting plans and lists. 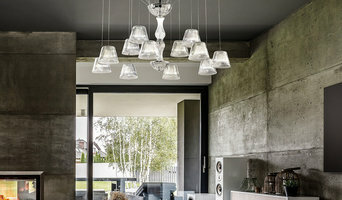 Iris Design Studio is also a manufacturer of our own Modern light fixture line. Established in 2003, Iris Design Studio has gained international recognition ever since then, and our lighting designs are featured in the most prestigious interiors worldwide. We work with interior designers directly, as well as with private individuals, providing personal consultation and the best customer service. Lighting designers will analyse your Miami, FL home's layout, structure and needs to create an effective lighting plan throughout your home. This may involve the addition of new light fittings but may also include the movement or addition of power points — recommendations to suit your space and your lifestyle. Though electrical engineers or interior designers in Miami can take on the task of outfitting your home with the appropriate lighting, a professional lighting designer explores lighting as a technique. They can match your style, be it antique lamps to match your eclectic vintage home, or modern wall floor lamps to go with your designer furniture. Think about how you plan to use each area of your Miami, FL home. It's important to communicate to your Florida lighting designer which space will be used as for reading and which for enjoying a movie or entertaining, as these will require very different lighting methods. In addition, consider how you'd prefer to control the lights. Lighting technology today includes dimmers, sensors, photocells (that let lights react to the amount of daylight in a space), programmable scene controls (that let you program different settings for varied lighting) and whole-house lighting controls (that let you control all or a portion of your home's lights from one source), allowing you to tailor your lighting controls however you wish. Find a lighting designer on Houzz. 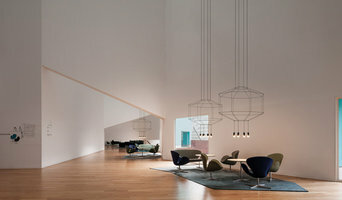 Narrow your search in the Professionals section of the website to Miami, FL lighting designer. You can also look through Miami, FL photos by style to find a lighting design you like, then contact the designer.